The Alpine HCE-C257FD front view camera is compact and connects directly into the dedicated camera input on compatible Alpine Advanced Navigation Stations. Alpine’s front view camera solution provides better visibility not only further in front of you, but even when coming out of ‘blind’ alleys or around obstructed corners. 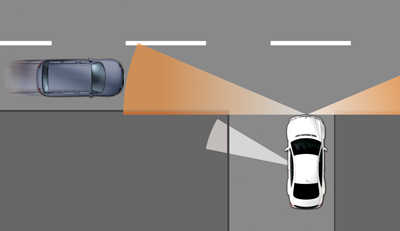 This makes maneuvering your vehicle easier, increases overall safety and awareness. Alpine HCE-C257FD Featuring enhanced picture quality and wider viewing angle, also provides automatic image adjustment with day and night mode ensuring the picture is bright and clear. Plus, the included 3 metre extension cable and mounting plate will suit installation into almost any vehicle application. Additionally, Multi-View provides a selection of viewing modes. 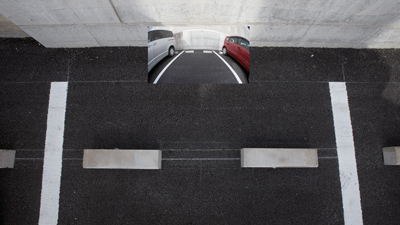 Corner view splits the screen so you have a clearer view of both sides in front of the vehicle. 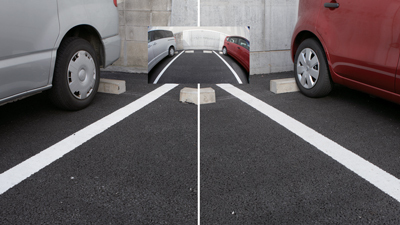 Ground view is convenient for parking, enabling you to avoid various obstacles in front of your car. Front view allows you a clear panoramic view in front of your vehicle, from a lower and more forward angle than your drivers seat. 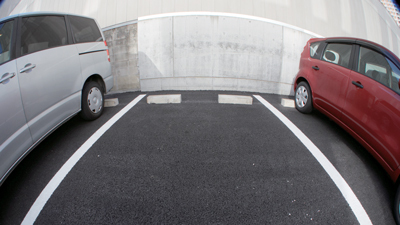 Top view is convenient for precise parking. There’s also a picture-in-picture function that shows the regular front view in a small screen. Corner-view splits the screen so you have a clearer view of both left and right in front of the car. There’s also a picture-in-picture function that shows the regular front view in a small screen. Enables connection of two Multi-View cameras to screens with RCA input, sold separately.